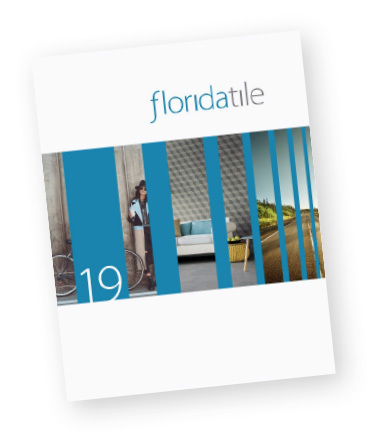 Outfit your home with Florida Tile products, for a now-upscale setting with a low maintenance, hypoallergenic product, promoting recycled materials at low costs. For a host of reasons, tile has found its way throughout the world. Learn why you’ll love living and working with it. For thousands of years, discerning builders have chosen tile for their projects due to its many benefits. When you begin to factor in how environmentally-friendly ceramic and porcelain tile products are, you’ll see that tile is the obvious choice when building green. Life Cycle – Ceramic and porcelain tile are some of the longest lasting flooring products on the market today. Unlike carpet, vinyl, or laminate flooring which have to be replaced periodically, properly installed tile will last a lifetime. Indoor Air Quality – Indoor air quality is a hot topic and for good reason. Volatile organic compounds (VOCs) contribute to a wide variety of health problems and are a significant cause of “sick building syndrome.” Since tile is fired in kilns to extremely high temperatures, there are no volatile organics in the finished product that can be released into the air we breathe; literally “zero.” In addition, there are adhesives and grouts available that contain zero, or very low VOCs. Some carpet, vinyl, and wood flooring contain low VOCs, but none can compare to zero. Regional availability – With tile manufacturers located in every region of the United States, tile and installation products made with local raw materials are widely available, unlike some other flooring choices whose manufacturers must ship their product thousands of miles to reach you. This regional availability reduces the amount of energy consumption and air emissions associated with shipping these products from the factory to your project site. LEED® is an acronym that stands for Leadership in Energy and Environmental Design. The U.S. Green Building Council® has developed a suite of LEED® Green Building Rating Systems that allows builders, owners, and tenants to evaluate the impact of their design on energy and environmental issues. They can obtain points toward LEED® certification of a project resulting from choices they make while designing, constructing, and operating a new or existing building or major renovation. Despite claims you may see, no product is “LEED® certified.” Only buildings can be LEED® certified. However, products you choose to include in your project can contribute points towards attaining different levels of certification. Recycled Materials Content (MR Credits 4.1 and 4.2). Regional Materials (MR Credit 5.1 and 5.2). Low-Emitting Materials (EQ Credit 4.3). Heat Island Effect (SS Credit 7.1). There may be additional ways for tile to contribute to LEED® points; consult your LEEDAccredited Professional. Other important environmental ratings and standards are in place or currently being developed, such as those of the National Association of Home Builders (NAHB®), the Collaborative for High Performance Schools, Green Globes®, and others. Tile produced in North America contributes long life cycle, indoor air quality, and regional manufacturing benefits to all of them. The Tile Council of North America commissioned an independent construction cost consulting firm, Scharf-Godfrey (a Division of Phoenix Engineering, Inc.), to conduct a Life Cycle Cost study comparing various types of ceramic tile, including porcelain, mosaic, and quarry tile, to 12 other floor finishes such as hardwood, laminate, concrete, stone, carpet, terrazzo, vinyl, and poured epoxy (for specifics see chart). Analysis is a method of project evaluation in which all costs arising from owning, operating, maintaining, and disposing of a project are considered important to the decision. The definition of Life Cycle Cost used in the 2005 study was the initial cost to install, which includes labor, materials, normal contractor’s overhead and profit, plus periodic maintenance costs to preserve and maintain the appearance of the product, and the final costs to remove the floor covering at the end of its useful life. Future expected costs were discounted to today’s dollars using the Present Value (PV) of a future payment calculated as a function of interest rate and an assumed inflation rate. It was assumed that there is no salvage value to any of the products at the end of their useful life, but there are disposal fees associated with removal of the floor covering. Scharf-Godfrey, construction cost consultants, chose the Life Cycle Cost method for collecting and comparing the data used in the study. The costs represent an appraisal of actual initial installation costs, custodial maintenance expenses, and removal costs for each material over the product life cycle. In all cases, the developed costs reflect high standards for installation and good maintenance practices. Scharf-Godfrey is an independent construction cost consulting organization with no vested interest in ceramic tile or any other floor finish. The study was conducted and this report was prepared by Scharf-Godfrey staff members without special regard to one type of finish over another. Ceramic tile costs less per year than all other floor finishes over the life of a building. In fact, all tile is less than $0.40 per square foot per year. Carpet and vinyl are significantly more expensive due to their shorter expected life. Best Value - Ceramic tile adds value to any building, needs almost no maintenance, and costs less per square foot than other permanent and long-use flooring options. Design Capability - Today’s selection of tile offers a limitless palette of textures, colors, shapes, and styles to create custom expressions. Rich Artistic Heritage - Conveying elegance, tranquility, and spirituality, tile has adorned our great buildings through the ages. You can connect to that cultural heritage through the richness of tile. Durability - Ceramic tile, properly selected and installed, maintains its original qualities and lasts longer than other flooring options. Water Resistance - Not only can installations of ceramic tile be waterproof, some tiles are designed to provide better traction, making ceramic tile a perfect choice for swimming pools, showers, patios, and other wet areas. Clean and Healthy - Ceramic tile is easy to clean and inhospitable to dust mites, mold, and bacteria. Building Green - Tile is inherently green and an important part of sustainable construction. It’s use can contribute to LEED® points and credits in other green building certification programs. Low Maintenance - Ceramic tile is practically maintenance-free, as it resists dirt and stains and requires little effort to maintain. Fade Resistance - The color of ceramic tile does not fade in sunlight like the dyes used in other floor finishes. Indoor Air Quality - Ceramic tile inherently has no VOC emissions as it was fired at very high temperatures. The resulting final product is virtually inert, with no off-gassing. Fire Resistance - Ceramic tile is non-combustible and does not give off toxic fumes when exposed to fire. Outdoor Use - Fade resistance, frost resistance, durability, enhanced traction and cleanability are all attributes that make ceramic tile the perfect choice for exterior applications.